My workshop is starting to look a little crowded, but it is certainly becoming more of a workshop! 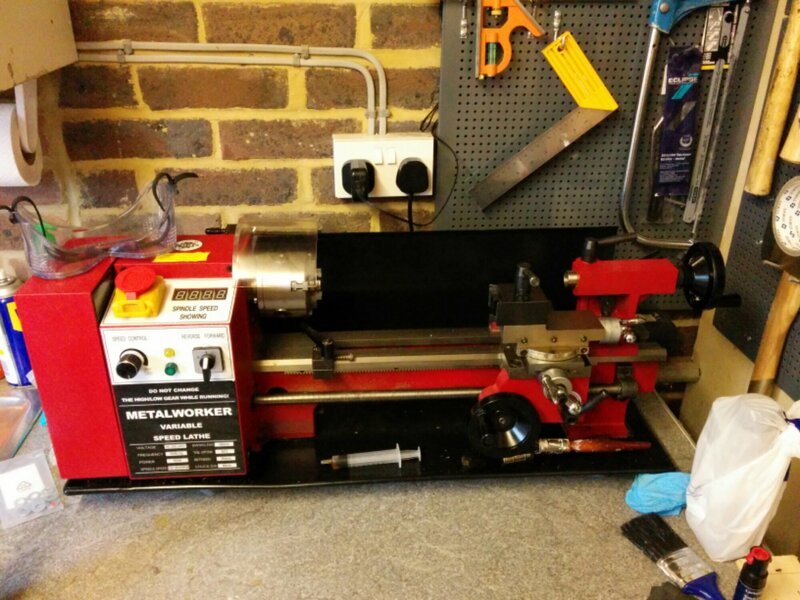 I’ve wanted a lathe for a while although I’m not exactly sure why. Maybe as much to “complete the set” with the CNC mill, 3D printer and laser as having a pressing need for it. Sure there are things I’m making on the lathe, but I could probably have managed without or done them on the mill. Anyway, a saved eBay search found me a nice Sieg C3 with some tools for what I felt was a bargain but it now price. I bought it only a couple of hours after it was listed before someone beat me to it. Life (and a second kid) meant it was about a month before I even got to use it! No surprise that the first things in making are bits to improve the other tools. I’ve started on a combined spacer and Oldham coupler for the mill. It’s all a bit circular and sometimes you can start wondering if you’re actually producing anything. As a friend once pointed out – of it’s your hobby then the end result of an enjoyable way to spend your time is all that’s required. Whilst it would definitely be fun to convert it to CNC, I think that might be going just a bit too far. I’ll hold of for now and just use it manually. It’s been about 20 years since I used a lathe, so nice just to get used to it again.